Last December, the FCC voted to to kill net neutrality. If we do not take action, this will kill the free and open internet as we know it. The internet needs you—all of you—to make sure your voices are heard NOW. We need all hands on deck for this one. It may be our last chance. If you’re feeling under-informed and overwhelmed about why net neutrality is so incredibly important, we have this handy guide just for you. In mid-May, the Senate will vote on a resolution to overrule the FCC using the Congressional Review Act (CRA). We only need one more vote in the Senate to win. Write or call your Senators or Representatives. You can also text BATTLE to 384-387 to get more information on how to write to your reps. You can do this, Tumblr. 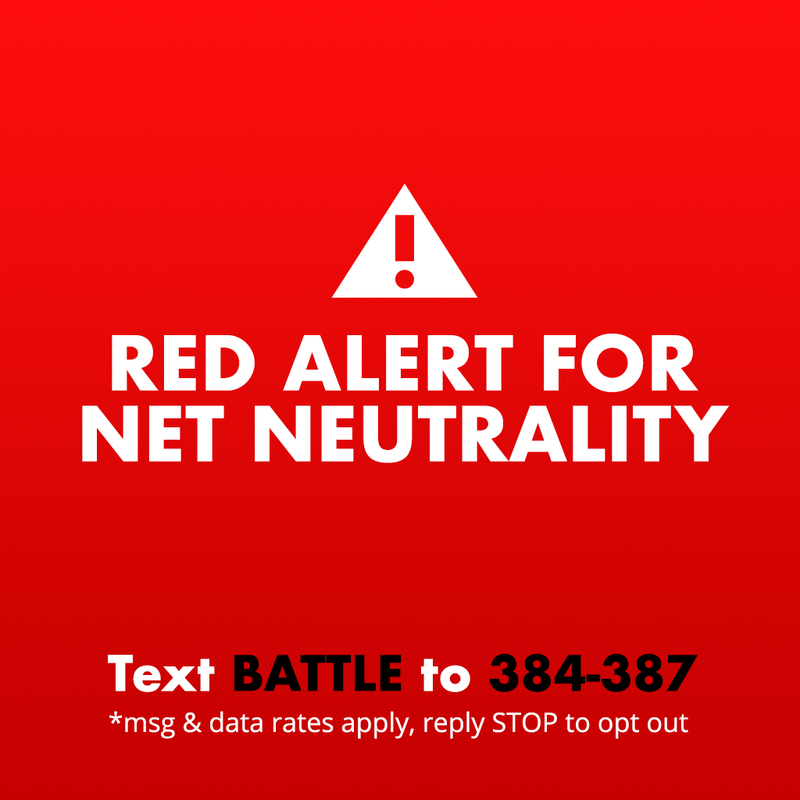 Join us and dozens of your other favorite companies like Etsy, Vimeo, Reddit, and GitHub to raise awareness with the Red Alert campaign being run by Battle for the Net. Just add this small widget to your Tumblr to let your followers know how they can contact their reps. It’s as easy as copying and pasting the small line of code right into the customize theme page on the web. This is important. This matters. It’s up to you to help.